You are not just driving your car to get from A to B and long, winding roads make your heart leap? We are glad you found us. We will help you to unlock your engine’s maximum performance and make sure that you will never want to get out of your VW again. Getting the figures: VW Passat 2.0 TDI SRC with RaceChip performance upgrade. VW is the largest German vehicle manufacturer and number two worldwide. The motto for “das Auto” is to embody the best of German quality and innovation in every vehicle. Here at RaceChip we have developed the same quality and innovation standards for customized tuning solutions that VW itself places on its vehicles. The perfect combination for your VW. Hardly any other manufacturer combines such a broad range of models with such a lasting string of success with models like the Polo, Golf and Passat, which have continued to show up at the top of registration statistics for decades. Today, RaceChip offers performance improvement via chip tuning for almost all VW models. Regardless whether saloon, coupé or CC, cabriolet or Alltrack, sports van or SUV, bus or pickup. Engine tuning from RaceChip is the most advanced method of electronic performance improvement for your VW, whether Up!, Polo, Golf, Beetle, Scirocco, Jetta, Touran, Tiguan, Eos, Passat, CC, Phaeton, Sharan, Touareg, Caddy, Multivan, California or Amarok. In a few easy steps, you can install our ultra-modern auxiliary device – a type of mini-computer with optimization software designed by RaceChip for your engine that operates between the engine controls and sensors. The now optimized electronic signals that control the engine give it a power increase of up to 30% more HP and up to 30% more Nm torque. 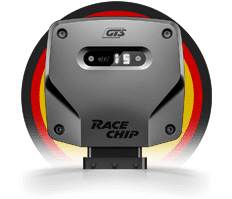 RaceChip uses the same technological principles for engine tuning as those used by the developers at VW itself in order to differentiate VW models with various performance levels all on the same engine block. In this way, VW today can use the same 2.0 TDI base to get a performance range of 140 to 177 HP, primarily the result of electronic adjustments. Here at RaceChip we ensure that the performance improvement always stays within the thermal and mechanical limits—in other words only within your engine's power reserves.What’s more, your VW's engine protection systems remain fully intact after installing our tuning box. In the most frequently used VW diesel today, the 2.0 TDI engine with standard 150 HP in the latest version (like in the T5 Bus, Tiguan, Passat and Golf VII), power zooms to over 180 HP and you'll reach 400 Nm and more of torque with all of our chip tuning modules. The 2.0 TDI in the Golf VI features 140 HP and 320 Nm torque. However, even after many miles of driving you can unleash a hefty portion of additional driving fun in this used diesel. Even with the S or RS, you'll boost power to almost 165 HP and, in the case of the RS, over 175 HP. Even the Golf GTD has much more to offer than the standard 184 HP and 380 Nm. With RaceChip you'll have an exhilarating 217 HP and 481 Nm for power and dynamic in your own league. This puts the GTD on a compact sports car level that previously only GTI gasoline engines could offer in this price segment. With RaceChip S, the Amarok and its 2.0 BiTDI transforms from a comfortable pickup into a stout athlete with 197 HP and powerful 495 Nm, ideal for heavy loads and hauling trailers. The “smaller” 1.6 TDI in a new Polo grows a power size or two with RaceChip: from standard 105 HP to an impressive 125 HP. With RaceChip you can turn sporty into super-sporty: A current Golf GTI model suddenly has an additional 46 HP and now offers 276 HP. The Golf GTI R reaches an irresistible 373 HP with RaceChip GTS Black. You won't have to catch up to anyone with this fast combination. The Passat CC with 2.0 TSI engine can show what it really has with RaceChip, easily blazing the streets with 274 HP. This makes a family weekend excursion truly a fun ride. You'll get more than one amazed look when you zoom away from traffic lights. The Phaeton with 3.0 TDI and 245 HP no longer just glides along like a champ; with 310 HP and 631 Nm it shows off its true potential for power and dynamic on the road. Further below on this page you'll find an overview of RaceChip chip tuning products. Choose your vehicle from our vehicle selection tool and you will immediately see how much potential awaits in your VW. With just a few clicks you can put together the optimization package for your VW in our online shop, and perhaps by tomorrow you'll be holding a RaceChip specially designed for your engine. It's easy to order directly online, install the RaceChip yourself in just 10-15 minutes, and experience your VW like never before.